With a busy household and two messy children to clean up after, I’m always on the look out for ways to make it easier and quicker. 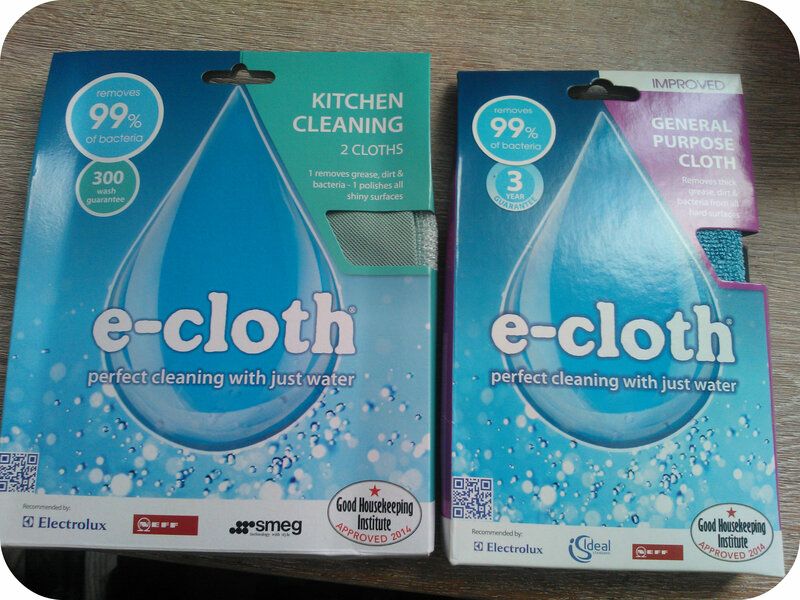 I’d heard of e-cloths but never tried them before, always a little sceptical at the concept of just using water rather than adding cleaning products. 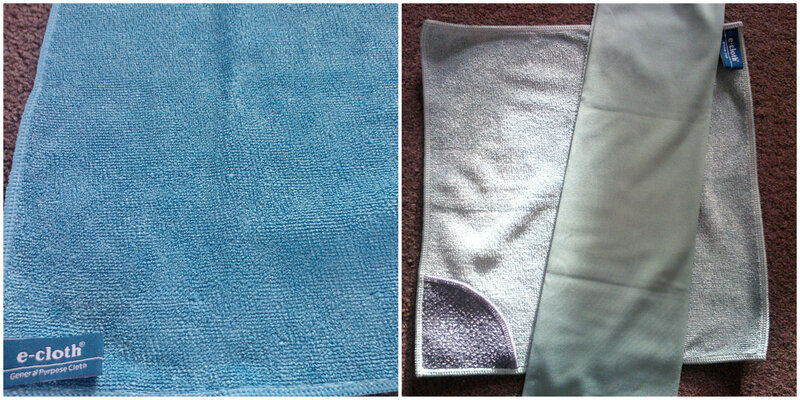 I was sent the general purpose e-cloth and the kitchen cleaning e-cloth packs to try out. The Kitchen pack consists of two cloths, a highly absorbent cleaning cloth for surfaces and appliances, and a glass & polishing cloth. The cleaning cloth is really thick and soft with an additional scouring pocket on one side which is really useful for putting your fingers in to scrub stubborn marks. I have to say I was really impressed with the amount of dirt and crumbs the cleaning cloth picked up in one wipe. In particular with my two little messy eaters, I can often find a table full of toast or Weetabix crumbs which take several wipes to gather up the bits, but the e-cloth just picked up every last bit in one wipe, meaning I could clean up a lot quicker. This being the same for spills too, the cloth is so absorbent I could mop up a spill a lot quicker, and believe me we get spills daily in this house! I like the addition of the buffing cloth, to give things an extra shine, which I found useful on my oven, hob, extractor fan, and taps – a quick, easy way to finish things off and leave the kitchen looking really clean! The general purpose cloth is much like the kitchen cloth in it’s soft, thick quality and high absorbency. What I like is that the cloths are colour coded and labeled so you can ensure you keep the same cloths to the same areas and not mix a kitchen surface cloth with somewhere a little dirtier. I have used the general use cloth to clean windowsills, they absorb a lot of the morning condensation that we get on ours in this cold weather as well as dirty marks on door frames and just generally around the house. The e-cloths have definitely made a change from the normal cloths I use, an improvement that definitely makes housework quicker and easier. An added bonus is that these cloths can be washed upto 300 times meaning that they last a lot longer than a sponge cloth too! All reviews are my own and my family’s opinions and we received the cloths in order to write the review. This entry was posted in Reviews and tagged cleaning, e-cloth, general purpose, kitchen by Fiona Martin. Bookmark the permalink. We are a big fan of ecloth! I love that we don’t need to use anti bacterial Spray and just water. Fab review. It is great that you just use water! Could do with some good window cleaning cloths, will have to try them!